This month EnRoute Consulting turns ten years old! To celebrate this momentous anniversary, I’ve been reaching out to some of my first-ever clients to hear about what they are up to now and how their gap year shaped their adult lives. I’m so excited to start this retrospective with my first-ever student client, Tor. I started EnRoute while living in Missoula, Montana. I knew Tor’s dad and when he heard about my new business, he thought I might be able to help Tor with his gap year plans. I’m eternally grateful to Tor and his family for taking a chance on me when I was first starting out. Now, hundreds of clients later, I can say that my process is more refined and professional, but the passion I feel for helping my students have a life-changing year remains the same. 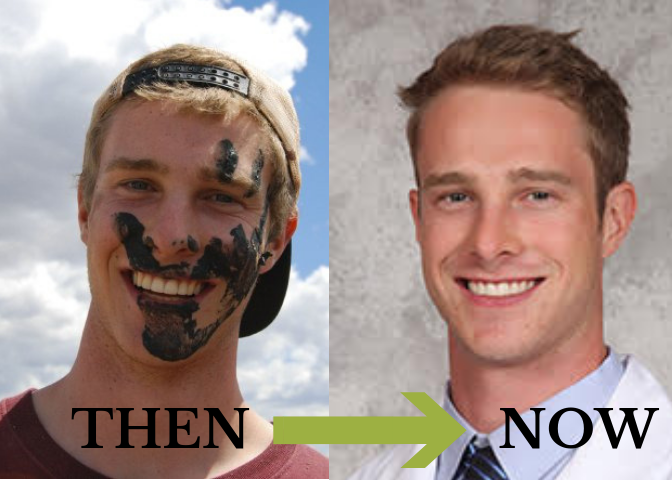 Tor and I recently got back in touch – he’s keeping very busy as a 3rd year med student in Colorado. Below he reflects on the lasting effects of his gap year, nearly a decade later. Looking back on your gap time, how did it help shape you into the adult you are today? My gap year between high school and college made me more confident and independent when I left for school. My resulting successes in college helped me get into medical school, where I am currently in my 3rd year. Were there activities or subjects you engaged in on your gap year that helped you define your career path? How so? I was already considering medical school when I started my gap year. We did not do any medical work while I was in Kenya, but living in the villages and doing manual labor made me want to return when I had more training and could make more of a difference. In fact, I am currently planning on returning to Kenya for a month during my 4th year of medical school to work in a rural clinic. There is also a village in Nepal that has a sister-town relationship with my hometown in Montana that I want to work in once I graduate. What was your biggest takeaway from your gap year right after you returned? Now, years later, what do you believe is the most lasting impact? The most lasting impact of my trip was an ability to deal with problems in everyday life. When I first got back to the United States I noticed all the things I had been living without: a washing machine, a shower, a car, a cell phone, clean water, etc. I was more thankful for these things when I first got back, but I got used to having these luxuries again within a few months. There have been times after my trip, however, when some of those things were not guaranteed and I was thankful that my time in Kenya had taught me how be creative and make do. When I got to college I noticed that other kids in my freshman dorm had a harder time dealing with their new independence. I had worked those jitters out in a hut in rural Kenya, living with six other students from around the world. I had to get used to the more difficult classes, just like everyone else, but I wasn’t worried about learning how to take care of myself. And I knew how to do my laundry by hand if I ran out of quarters. Keyna taught me to approach difficulty with humor, a lesson I appreciate every day. Plus, whenever I have to talk about teamwork experience in an interview, I can always bring up living in that tiny hut, surrounded by jungle, trapped with a bunch of teenagers having to eat each others cooking. They are still some of my best friends. 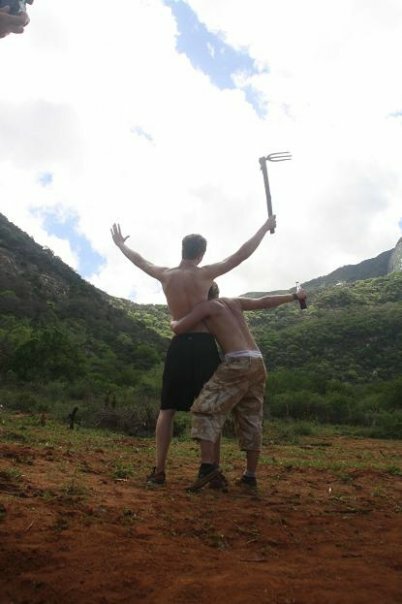 Did your gap year inspire you to have other adventures? If so, what have been some of your most memorable experiences since then? Traveling through Kenya gave me confidence to plan more international travel by myself. After Kenya I spent a semester of college in New Zealand. I have also traveled to Mexico, Nepal, Vietnam, and Iceland. I know I am lucky to have the opportunities and resources to explore internationally, but my gap year also changed my priorities. I try to spend less money on random things and to fit more adventures into my life. My time in Vietnam, for example, was between jobs and I spent less money there, including most of the plane ticket, than I would have spent moving to my next job a month early. Are you still in contact with other students or anyone you met during your gap time? How have those relationships evolved? I am still in touch with a few other students who were in my group. We have visited each other a couple times since getting back from Kenya, but it’s hard to see each other regularly when we all live so far apart. Only four students in our group of fourteen live in the United States, and those four are spread from coast to coast. I did just find out that a couple from England who met during our trip are getting married. I hope the crew who live in Europe can use that as an opportunity for a reunion. What activities or traditions from your time abroad have you continued back in the US? I picked up lots of recipes from Kenya that I enjoy and will make occasionally. Most of what I brought back from Kenya are memories and the urge to continue exploring new cultures. There is an incredible amount of diversity in this world. Every new place I visit enriches my perspective and allows me to appreciate life a little more. In the end, I think having lived in several countries will make me a better doctor, because so much of treating a patient is understanding their perspective, and people’s’ attitude regarding healthcare can change drastically based on their background. What advice would you share to students who are considering a gap year? Do it! Seriously. I got accepted to college before my gap year and they agreed to defer my matriculation and scholarships to the following year, so that is always an option. During your gap year: don’t spread activities out too much if you have multiple things planned. I thought that I would want more time to recuperate than I really needed and would have been bored without a job that let me do random shift work.